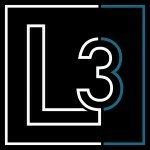 The L3 Open House June 2nd, 3rd and 4th! Owning Your Costa Mesa Home and Exploiting “The Dream”! The L3 Open House June 9th, 10th and 11th! The L3 Orange County, CA Featured Open House for June 9th, 10th and 11th! The L3 / Weichman Realtors is a full service real estate agency located in the heart of #CostaMesa offering a wide-array of custom services to meet their clients’ needs with roots in the community since 1976. It’s Weichman’s mission to provide trusted, convenient, responsive service to ensure clients enjoy their real estate experience. Weichman Realtors was originally formed to offer personal, concierge-level service as an alternative to the large, nationally based real estate companies. From its small beginnings of only two employees, Weichman Realtors has grown to a full staff of 20 serving over 300 clients a year.